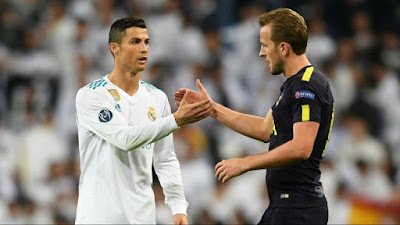 During last night's game at Wembley stadium between Tottenham Hotspurs and Real Madrid, you would be forgiven for thinking the Europeans Champions was the team in white while their less illustrious opponents was the one in black. Spurs played like champions, like a team possessed; a they played, not only with the sort of tactical and technical prowess we've come to associated with European giants, but, sometimes, with an elegance we only expect from great teams. While you can say Madrid are currently not in the best of form, you should also remember that Spurs have also lost their last two games - against West Ham and Man. Utd respectively. Yet, games like last night's defies form - it reveals character instead and how far a team has come. Many saw the games across both legs as a test of both league's mettle - and if that's the case, then you have to say the EPL came out on top. During the past four months, the young Lions have won two world cups (U21, U17), yet both have somehow managed to go below the radar, making you wonder how hyper the praise would have been if the Spainish or the Germans had such success. And the same could be said of the game last night. While two games are not enough to show if there is a change in dynamics between the two leagues, it at least shows a pattern we all have ignored over the last couple of months - the English game deserves a bit of credit and has come a long way since the days of "kick and follow." One of the first things we accuse the English press of is their quickness to overrate anything remotely British, yet, we are all also guilty of being slow to credit anything British, especially in Sports. Lewis Hamilton, Andy Murray and the likes come to mind. Harry Kane might actually be the best striker in the world right now, but he's British and so must be overrated. Deli Ali ran rings around the Madrid midfield last night, but he plays in the Premier League, so we can't say applaud his technical qualities - if he has any, right? The game last night shows the English game is not far behind their continental rivals as much as we all believe. Arsenal, Manchester City, and now Tottenham, on their days, play some of the best football you can find anywhere in Europe at the moment and we all need to recognise that, even if we wont appreciate it.